*** All users require a waiver form to utilize the fitness center. 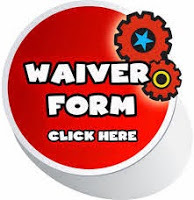 Waiver forms may be picked up during period 3 from Mr. Gillespie in the fitness center or can be printed by selecting the waiver form link on the right side of the page. *** The LCI Fitness Center is a donation based facility that is open and available to all LCI students and staff members. Donations can be made online via SchoolCash Online by selecting the waiver form link on the right hand side of the page. Without your generous support the LCI Fitness Center would not be able to operate in the nature it does, nor provide the unparalleled opportunities available for LCI students. Thank you in advance for your consideration and support. 2. The Fitness Center WILL NOT be open for afterschool use until September 28, 2015. After September 28 the hours will be as posted. 3. The Fitness Center WILL be open for use during period 3 Mon - Fri beginning September 7, 2015 for the duration of Semester 1. At the end of semester 1 daytime use will be limited to period 1 & 2. 4. Programming will commence September 28, 2015 and will peak just prior to the Christmas break. All programs are periodized to flow together but do follow a generalized approach to make individuals fitter, stronger, and faster. Programs will be posted every 3-4 weeks and all build on each other towards the December goal. - Additional programming from the past years can be accessed in the "Blog Archive" link located on the bottom right hand side of the page. 5. Currently we do not have a supervisor for "Woman's Workout Day" and the Fitness Center will be available for all users at all times that it is operating.